Negotiable Instruments Act, 1881 - Sections 118 and 138 - In the scheme of the NI Act, mere creation of doubt is not sufficient. Negotiable Instruments Act, 1881 - Sections 118 and 138 - Basic ingredients for drawing of presumption. Negotiable Instruments Act, 1881 - Sections 118 and 138 - Preponderance of probabilities. Negotiable Instruments Act, 1881 - Sections 118 and 138 - The aspect relevant for consideration had been as to whether the accused has brought on record such facts / material / circumstances which could be of a reasonably probable defence. (Abhay Manohar Sapre) and (Dinesh Maheshwari) JJ. 2. This appeal is directed against the common judgment and order dated 08.01.2018 in R/Criminal Appeal No. 1187/2017 connected with R/Criminal Appeal Nos. 1191/2017 to 1196/2017 whereby, the High Court of Gujarat at Ahmedabad has reversed the respective judgment and orders dated 09.06.2017 as passed by the 8th Additional Senior Civil Judge and Additional Chief Judicial Magistrate, Vadodara in 7 criminal cases (1 Nos. 44345/2009, 46499/2008, 46254/2008, 48420/2008, 40321/2008, 48631/2008 and 46503/2008 respectively) pertaining to the offence under Section 138 of the Negotiable Instruments Act, 1881 ('the NI Act') for dishonour of 7 cheques in the sum of Rs. 3 lakhs each, as said to have been drawn by the accused-appellant in favour of the complainantrespondent No. 2. In the impugned judgment and order dated 08.01.2018, the High Court has disapproved the acquittal of the accused-appellant and, while holding him guilty of the offence under Section 138 of the NI Act, has awarded him the punishment of simple imprisonment for a period of 1 year with fine to the extent of double the amount of cheque (i.e., a sum of Rs. 6 lakhs) with default stipulation of further imprisonment for a period of 1 year in each case; and, out of the amount payable as fine, the complainant-respondent No. 2 is ordered to be compensated to the tune of Rs. 5.5. lakhs in each case. 3. Briefly put, the substance of allegations and assertions of the complainant-respondent No. 2 in each of the 7 cases aforesaid had been as follows: He was having his office in Windor Plaza at Alkapuri, Vadodara and had been visiting the shop of his friend Shri Jagdishbhai in National Plaza in the same locality; the accused-appellant, a trader of edible spices, had his shop near the shop of Shri Jagdishbhai and in due course of time, the accused, the complainant and the said Shri Jagdishbhai became good friends. The complainant alleged that after developing such friendship, the accused demanded from him a sum of Rs. 22,50,000/- as loan for his immediate requirement; and he (the complainant) extended such loan to the accused for a short term by collecting money in piecemeal from his business group. According to the complainant, upon regular demand for re-payment, the accused gave him cheques of different dates drawn on Corporation Bank, Alkapuri Branch, Vadodara and also gave the acceptance for re-payment on a stamp paper. The complainant alleged that the cheques so issued by the accused, on being presented to the Bank for collection, were returned unpaideither for the reason that the "opening balance was insufficient" or for the reason that the "account was closed". While alleging that the intention of the accused had been of breach of trust and cheating, the complainant pointed out that he got served the notices on the accused after dishonour of the cheques but did not receive the requisite payment. It is noticed that in some of the cases, the accused-appellant did send his reply, denying the transaction as alleged. 4. With the allegations and assertions aforesaid, the complainantrespondent No. 2 filed the above-mentioned 7 complaint cases against the accused-appellant in the months of June to November, 2008. In trial, the complainant examined himself as PW-1 and the said Shri Jagdishbhai as PW- 2. The complainant also produced the relevant documentary evidence including the cheques in question; the Bank returning memos and intimation letters; the demand notices; the replies wherever sent by the appellant; and the written acknowledgement on a stamp paper by the accused. The accused was examined under Section 313 of the Code of Criminal Procedure, 1973 where he asserted that he had no money transaction with the complainant; and had neither issued any cheque nor written any note for any legal debt in favour of the complainant. The accused-appellant, however, asserted that several years in the past, he had some transaction with the said Shri Jagdishbhai and the cheques and blank stamp paper lying with Shri Jagdishbhai have been fraudulently misused to unlawfully recover the money from him. The accused-appellant, however, did not lead any evidence. "1. Whether the complainant proves that the accused has issued and handed over the Cheque bearing No. 763346 of Rs. 3, 00,000/- towards legal due amount from the account maintained by him, and upon presenting the said cheque in bank of the complainant for encashment, the same was returned back unpaid with endorsement of the bank "Today's opening balance is insufficient" and thereafter the complainant has served demand notice to the accused and the said notice has been served to the accused even though, the accused has not paid the cheque amount within the stipulated Notice period and thereby the accused has committed offence punishable under section 138 of the Negotiable Instrument Act? 6. After examining the record, the Trial Court found that the accused had admitted his signature on the cheques and, with reference to the decision of this Court in the case of Rangappa v. Sri Mohan : (2010) 11 SCC 441, drew the presumption envisaged by Section 139 of NI Act. "19……All these circumstances creates doubt of the complainant (sic) as alleged and accused has brought on record rebuttable evidence upto to requisite level ie. Preponderance of probabilities and as such considering section 5,6,32 and 118 and 139 of N.I. Act complainant failed to prove complaint beyond reasonable doubt that the cheque has been issued for the recoverable debt/liability. 22. Therefore as discussion made herein above the complainant failed to prove that the disputed cheque has been issued by the accused for the part payment of transaction of Rs. 22,50,000/- therefore accused is entitled to get acquittal who has brought on record the circumstances which rebut the presumption under section 118,119, of N.I. Act… (sic)"
“24. It is necessary at this stage also to refer to the emphasis laid by the learned counsel appearing for the respondent No.2 on the source of the fund which has been lent by the appellant. It has emerged from the detailed examination of the record, as also detailed examination-in-chief as well as cross-examination, that the complainant runs the business. He also maintains the books of account and he has his own factory in the name and style of ‘Ashirwad Enterprise’ and manufactures plastic. The said factory is situated at Jambusar. Ordinarily, any prudent business person would prefer to transact by cheque while lending money, but it is quite often noticed that the cash transactions in the business would allow huge sum of money as cash, which sometimes are shown in the books of account as cash on hands or otherwise as amount available on books. Assuming that cheque transaction of lending of amount is absent and income-tax returns also do not reflect such amount, that at the best would hold the assessee or lender liable for action under the Income-tax laws. However, otherwise, if he succeeds in showing lending of such amount, both by oral evidence of himself and his friend, on whom even respondent No.2 relies upon and from the writing of the respondent No.2 given separately along with seven cheques signed by him, what possible reasons could weigh with the Court to deny the existence of legally enforceable debt in such glaring circumstances. 25. Considering the fact that the complainant maintains his books of account, coupled with the fact that the respondent No.2 had merely refuted on flimsy ground of his having transacted with witness Jagdishbhai and not with the complainant, has failed to discharge the burden which had shifted upon him. It is to be noted that the respondent No.2 has admitted his signature on the impugned cheque. At no point of time, the cheque has been disputed……Once this fact is acknowledged that the signature on the cheque is that of the respondent No. 2-accused, section 139 of the Negotiable Instruments Act would mandate the presumption that the cheque concerns a legally enforceable debt or liability. Ofcourse, this presumption is in the nature of rebuttal and onus is on the accused thereafter to raise a probable defence. 29. In the opinion of this Court, the entire argument that the rainy water could not have washed away the cheques, pales into insignificance and is not argument worth consideration, more particularly, when the respondent-accused in no unclear terms had accepted his liability of his having accepted the amount of Rs. 22.50 lakh from the complainant and it also declared the issuance of seven cheques of particular dates towards such legally enforceable debt. If it was anunderstanding between the parties qua issuance of fresh cheques, with an ostensible reason of old cheques having washed away, those are the non-issues. This Court cannot be oblivious of the fact that section 138 of the Negotiable Instruments Act has been made a penal provision not only for the cheques to give acceptability in the transaction, but it is the economic blood-line of the country and, therefore, the law makers have made the special rules of evidence by introducing sections 118 and 139 of the Negotiable Instruments Act. 30. The trial Court has committed a serious error by not discharging its obligation of recognizing the evidentiary value and not appreciating the positive evidence which led to the reasonable proof of legally enforceable debt existing on the side of the original complainant." 8. Assailing the judgment and order so passed by the High Court, learned counsel for the accused-appellant has contended that the impugned judgment is contrary to the principles laid down in the case of Arulvelu and Anr. v. State represented by Public Prosecutor & Anr. : (2009) 10 SCC 206, particularly when the High Court has set aside the considered judgment and orders of the Trial Court without pointing out any perversity therein. The learned counsel has argued, with reference to the decisions in M.S. Narayana Menon alias Mani v. State of Kerala and Anr: (2006) 6 SCC 39 and Kumar Exports v. Sharma Carpets: (2009) 2 SCC 519, that the High Court has failed to appreciate the settled principle of law that the accused is only required to show a probable defence to be acquitted of the charges under Section 138 of the NI Act. The learned counsel has referred to the reasons assigned by the Trial Court to acquit the accused-appellant and has submitted that contradictory statements have been made by the complainant and the witness; that no clear and cogent evidence has been brought on record toprove the source of funds for advancing any loan by the complainant; that admittedly, the complainant did not have the amount of Rs. 22,50,000/- and the same was arranged through his friends and relatives but he made vacillating statement in that regard and none of such relatives or friends was examined as witness; that the witness for the complainant had more knowledge about the transaction than the complainant; that the complainant appeared to have rather no knowledge regarding the payments, funds and the period of transaction; and that there was no explanation as to how the complainant was claiming Rs. 22,50,000/- as the debt, when the sum total of the instalments (cheques) comes to Rs. 21,00,000/- only. The learned counsel would also argue that complainant has heavily relied on the stamp paper dated 21.03.2007 but then, admittedly, the complainant had not signed on the said stamp paper; and this document, neither notarised nor registered anywhere and only bearing the signatures of the appellant and of the said Shri Jagdishbhai, is not of any evidentiary value for the case of the complainant. According to the learned counsel, the accused-appellant has established his bonafide defence that he had a financial transaction with Shri Jagdishbhai in the past; that he gave 7 blank cheques to Shri Jagdishbhai and signed on a stamp paper as security against such transaction; and that such cheques and stamp paper were sought to be misused by the complainant. The learned counsel has contended that in the given circumstances, the judgment and orders of the Trial Court acquitting the accused-appellant of the offence under Section 138 of the NI Act deserve to be restored and the impugned judgmentand order dated 08.01.2018 deserves to be set aside. The learned counsel would also submit in the alternative that in any case, the punishment as awarded in this case is much on the higher side and deserves to be reduced. "36. Carefully scrutiny of all these judgments lead to the definite conclusion that the appellate court should be very slow in setting aside a judgment of acquittal particularly in a case where two views are possible. The trial court judgment cannot be set aside because the appellate court's view is more probable. The appellate court would not be justified in setting aside the trial court judgment unless it arrives at a clear finding on marshalling the entire evidence on record that the judgment of the trial court is either perverse or wholly unsustainable in law." 11.1 The principles aforesaid are not of much debate. In other words, ordinarily, the Appellate Court will not be upsetting the judgment of acquittal, if the view taken by Trial Court is one of the possible views of matter and unless the Appellate Court arrives at a clear finding that the judgment of the Trial Court is perverse, i.e., not supported by evidence on record or contrary to what is regarded as normal or reasonable; or is wholly unsustainable in law. Such general restrictions are essentially to remind the Appellate Court that an accused is presumed to be innocent unless proved guilty beyond reasonable doubt and a judgment of acquittal further strengthens such presumption in favour of the accused. However, such restrictions need to be visualised in the context of the particular matter before the Appellate Court and the nature of inquiry therein. The same rule with same rigour cannot be applied in a matter relating to the offence under Section 138 of the NI Act, particularly where a presumption is drawn that the holder has received the cheque for thedischarge, wholly or in part, of any debt or liability. Of course, the accused is entitled to bring on record the relevant material to rebut such presumption and to show that preponderance of probabilities are in favour of his defence but while examining if the accused has brought about a probable defence so as to rebut the presumption, the Appellate Court is certainly entitled to examine the evidence on record in order to find if preponderance indeed leans in favour of the accused. "138 Dishonour of cheque for insufficiency, etc., of funds in the account. ---- Where any cheque drawn by a person on an account maintained by him with a banker for payment of any amount of money to another person from out of that account for the discharge, in whole or in part, of any debt or other liability, is returned by the bank unpaid, either because of the amount of money standing to the credit of that account is insufficient to honour the cheque or that it exceeds the amount arranged to be paid from that account by an agreement made with that bank, such person shall be deemed to have committed an offence and shall, without prejudice to any other provisions of this Act ,be punished with imprisonment for [a term which may be extended to two years], or with fine which may extend to twice the amount of the cheque, or with both: *** *** ***"
(g) that holder is a holder in due course----that the holder of a negotiable instrument is a holder in due course; Provided that, where the instrument has been obtained from its lawful owner, or from any person in lawful custody thereof, by means of an offence or fraud, or has been obtained from the maker or acceptor thereof by means of an offence of fraud, or for unlawful consideration, the burden of proving that the holder is a holder in due course lies upon him." "139. Presumption in favour of holder ---- It shall be presumed, unless the contrary is proved, that the holder is a cheque received the cheque of the nature referred to in section 138 for the discharge, in whole or in part, if any debt or other liability." 14. So far the question of existence of basic ingredients for drawing of presumption under Sections 118 and 139 the NI Act is concerned, apparent it is that the accused-appellant could not deny his signature on the cheques in question that had been drawn in favour of the complainant on a bank account maintained by the accused for a sum of Rs. 3 lakhs each. The said cheques were presented to the Bank concerned within the period of their validity and were returned unpaid for the reason of either the balance being insufficient or the account being closed. All the basic ingredients of Section 138 as also of Sections 118 and 139 are apparent on the face of the record. The Trial Court had also consciously taken note of these facts and had drawn the requisite presumption. Therefore, it is required to be presumed that the cheques in question were drawn for consideration and the holder of the cheques i.e., the complainant received the same in discharge of an existing debt. The onus, therefore, shifts on the accused-appellant to establish a probable defence so as to rebut such a presumption. "26. In the light of these extracts, we are in agreement with the respondent claimant that the presumption mandated by Section 139 of the Act does indeed include the existence of a legally enforceable debt or liability. To that extent, the impugned observations in Krishna Janardhan Bhat may not be correct. However, this does not in any way cast doubt on the correctness of the decision in that case since it is based on the specific facts and circumstances therein. As noted in the citations, this is of course in the nature of a rebuttal presumption and it is open to the accused to raise a defence wherein the existence of a legally enforceable debt or liability can be contested. However, there can be no doubt that there is an initial presumption which favours the complainant. 28. In the absence of compelling justifications, reverse onus clauses usually impose an evidentiary burden and not a persuasive burden. Keeping this in view, it is a settled position that when an accused has to rebut the presumption under Section 139, the standard of proof for doing so is that of "preponderance of probabilities". Therefore, if the accused is able to raise a probable defence which creates doubts about the existence of a legally enforceable debt or liability, the prosecution can fail. As clarified in the citations, the accused can rely on the materials submitted by the complainant in order to raise such a defence and it is conceivable that in some cases the accused may not need to adduce evidence of his/her own." "20. The accused in a trial under Section 138 of the Act has two options. He can either show that consideration and debt did not exist or that under the particular circumstances of the case the non-existence of consideration and debt is so probable that a prudent man ought to suppose that no consideration and debt existed. To rebut the statutory presumptions an accused is not expected to prove his defence beyond reasonable doubt as is expected of the complainant in a criminal trial. The accused may adduce direct evidence to prove that the note in question was not supported by consideration and that there was no debt or liability to be discharged by him. However, the court need not insist in every case that the accused should disprove the nonexistence of consideration and debt by leading direct evidence because the existence of negative evidence is neither possible nor contemplated. At the same time, it is clear that bare denial of the passing of the consideration and existence of debt, apparently would not serve the purpose of the accused. Something which is probable has to be brought on record for getting the burden of proof shifted to the complainant. To disprove the presumptions, the accused should bring on record such facts and circumstances, upon consideration of which, the court may either believe that the consideration and debt did not exist or their non-existence was so probable that a prudent man would under the circumstances of the case, act upon the plea that they did not exist. Apart from adducing direct evidence to prove that the note in question was not supported by consideration or that he had not incurred any debt or liability, the accused may also rely upon circumstantial evidence and if the circumstances so relied upon are compelling, the burden may likewise shift again on to the complainant. The accused may also rely upon presumptions of fact, for instance, those mentioned in Section 114 of the Evidence Act to rebut the presumptions arising under Sections 118 and 139. 21. The accused has also an option to prove the non-existence of consideration and debt or liability either by letting in evidence or in some clear and exceptional cases, from the case set out by the complainant, that is, the averments in the complaint, the case set out in the statutory notice and evidence adduced by the complainant during the trial. Once such rebuttal evidence is adduced and accepted by the court, having regard to all the circumstances of the case and the preponderance ofprobabilities, the evidential burden shifts back to the complainant and, therefore, the presumptions under Sections 118 and 139 of the Act will not again come to the complainant's rescue." 17. In the case at hand, even after purportedly drawing the presumption under Section 139 of the NI Act, the Trial Court proceeded to question the want of evidence on the part of the complainant as regards the source of funds for advancing loan to the accused and want of examination of relevant witnesses who allegedly extended him money for advancing it to the accused. This approach of the Trial Court had been at variance with the principles of presumption in law. After such presumption, the onus shifted to the accused and unless the accused had discharged the onus by bringing on record such facts and circumstances as to show the preponderance of probabilities tilting in his favour, any doubt on the complainant's case could not have been raised for want of evidence regarding the source of funds for advancing loan to the accused-appellant. The aspect relevant for consideration had been as to whether the accused-appellant has brought on record such facts/material/circumstances which could be of a reasonably probable defence. 18. In order to discharge his burden, the accused put forward the defence that in fact, he had had the monetary transaction with the said Shri Jagdishbhai and not with the complainant. In view of such a plea of the accused-appellant, the question for consideration is as to whether the accused-appellant has shown a reasonable probability of existence of any transaction with Shri Jagdishbhai? In this regard, significant it is to notice thatapart from making certain suggestions in the cross-examination, the accusedappellant has not adduced any documentary evidence to satisfy even primarily that there had been some monetary transaction of himself with Shri Jagdishbhai. 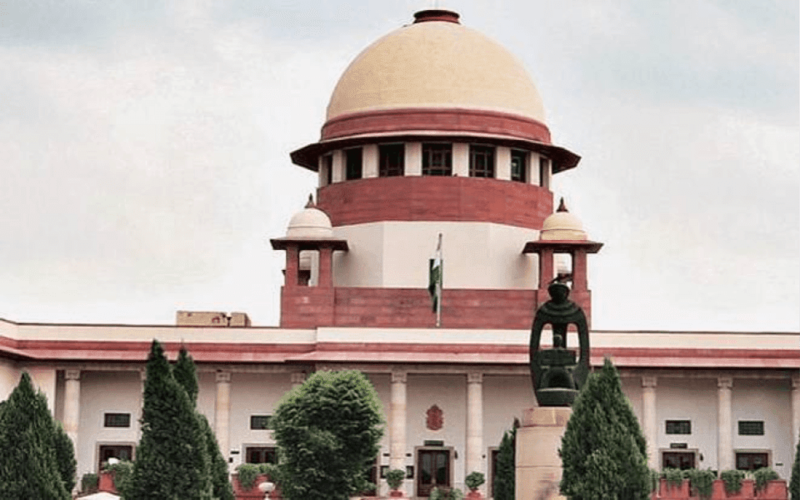 Of course, one of the allegations of the appellant is that the said stamp paper was given to Shri Jagdishbhai and another factor relied upon is that Shri Jagdishbhai had signed on the stamp paper in question and not the complainant. 18.1 We have examined the statement of Shri Jagdishbhai as also the said writing on stamp papers and are unable to find any substance in the suggestions made on behalf of the accused-appellant. "Accused when he comes to our shop where the complainant in the matter Shashimohan also be present that in both the complainant and accused being our friends, were made acquaintance with each other. The accused had necessity of money in his business, in my presence, had demanded Rs.22,50,000/- (Rupees twenty two lacs fifty thousandly) on temporary basis. And thereafter, the complainant from his family members by taking in piecemeal had given to the accused in my presence. Thereafter, on demanding the money by the complainant, the accused had given seven (7) cheques to the complainant in our presence but such cheques being washed out in rainy water and on informing me by the complainant I had informed to the accused. Thereafter, Rohitbhai had given other seven (7) cheques to the complainant in my presence and the deed was executed on Rs. 100/- stamp paper in there is my signature." "I have got shop in National Plaza but in rain no water logging has taken place. It is not true that there had been no financial dealings between me and the accused today. It is not true that I had given rupees ten lacs to the accused Rohitbhai on temporary basis. It is not true that for the amount given to the accused, I had taken seven blank duly cheques also blank stamp paper without signature. It is not true that there was quarrel between me and the accused in the matter of payment of interest. It is not true that even after the payment of Rs. ten lacs and the huge amount of the interest in the matter of interest quarrel was made. It is not true that due to the reason of quarrel with the accused, in the cheques of the accused lying with me by making obstinate writing has filed the false complaint through Shashimohan Goyanka. It is not true that no financial dealings have taken place between the complainant and the accused. therefore I also the complainant both at the time of evidence the accused at what place, on what date at what time, the amount taken has not been able to make clearly. (sic) It is not true that the blank stamp paper duly signed were lying in which obstinate writing has been made therefore the same has not been registered through sub registrar. It is not true that the dealings have been made between me and accused therefore there is my signature and the signature of the accused and the complainant has not signed. It is not true that any types of dealings between the accused and the complainant having not been done in my presence therefore in my statement no clarification has been given. It is not true that the accused in my presence as mentioned in the complaint any cheque has not been given. It is not true that I in collusion with the complainant to usurp the false amount the false complaint has been filed through Shashimohan Goyanka. It is not true that in support of the complaint of Shashimohan Goyanka is giving false statement." 18.4 The statement of Shri Jagdishbhai does not make out any case in favour of the accused-appellant. It is difficult to say that by merely putting thesuggestion about the alleged dealing to Shri Jagdishbhai, the accusedappellant has been able to discharge his burden of bringing on record such material which could tilt the preponderance of probabilities in his favour. "Today the executor I Rohit Patel Ranchhodray Masala is a partner. Due to the financial difficulties having been arised, I have taken Rs.22,500,000/- (Rupees twenty two thousand fifty thousand only- sic) from my group which are to be paid to Shashimohan Goyanka. Earliest these cheques were given but due to rainy water logging the said cheques having been washed out (7) cheques have again been given which is acceptable to me." 18.6 The fact of the matter remains that the appellant could not deny his signatures on the said writing but attempted to suggest that his signatures were available on the blank stamp paper with Shri Jagdishbhai. This suggestion is too remote and too uncertain to be accepted. No cogent reason is available for the appellant signing a blank stamp paper. It is also indisputable that the cheques as mentioned therein with all the relevant particulars like cheque numbers, name of Bank and account number are ofthe same cheques which form the subject matter of these complaint cases. The said document bears the date 21.03.2007 and the cheques were postdated, starting from 01.04.2008 and ending at 01.12.2008. There appears absolutely no reason to discard this writing from consideration. 18.7 One of the factors highlighted on behalf of the appellant is that the said writing does not bear the signature of the complainant but and instead, it bears the signatures of said Shri Jagdishbhai. We find nothing unusual or objectionable if the said writing does not bear the signatures of the complainant. The said writing is not in the nature of any bi partite agreement to be signed by the parties thereto. It had been a writing in the nature of acknowledgement by the accused-appellant about existence of a debt; about his liability to repay the same to the complainant; about his having issued seven post-dated cheques; about the particulars of such cheques; and about the fact that the cheques given earlier had washed away in the rain water logging. Obviously, this writing, to be worth its evidentially value, had to bear the signatures of the accused, which it does. It is not unusual to have a witness to such a document so as to add to its authenticity; and, in the given status and relationship of the parties, Shri Jagdishbhai would have been the best witness for the purpose. His signatures on this document, therefore, occur as being the witness thereto. This document cannot be ruled out of consideration and existing this writing, the preponderance of probabilities lean heavily against the accused-appellant. 19. Hereinabove, we have examined in detail the findings of the Trial Court and those of the High Court and have no hesitation in concluding that the present one was clearly a case where the decision of the Trial Court suffered from perversity and fundamental error of approach; and the High Court was justified in reversing the judgment of the Trial Court. The observations of the Trial Court that there was no documentary evidence to show the source of funds with the respondent to advance the loan, or that the respondent did not record the transaction in the form of receipt of even kachcha notes, or that there were inconsistencies in the statement of the complainant and his witness, or that the witness of the complaint was more in know of facts etc. would have been relevant if the matter was to be examined with reference to the onus on the complaint to prove his case beyond reasonable doubt. These considerations and observations do not stand in conformity with the presumption existing in favour of the complainant by virtue of Sections 118 and 139 of the NI Act. Needless to reiterate that the result of such presumption is that existence of a legally enforceable debt is to be presumed in favour of the complainant. When such a presumption is drawn, the factors relating to the want of documentary evidence in the form of receipts or accounts or want of evidence as regards source of funds were not of relevant consideration while examining if the accused has been able to rebut the presumption or not. The other observations as regards any variance in the statement of complainant and witness; or want of knowledge about dates and other particulars of the cheques; or washing away of the earlier cheques in therains though the office of the complainant being on the 8th floor had also been of irrelevant factors for consideration of a probable defence of the appellant. Similarly, the factor that the complainant alleged the loan amount to be Rs. 22,50,000/- and seven cheques being of Rs. 3,00,000/- each leading to a deficit of Rs. 1,50,000/-, is not even worth consideration for the purpose of the determination of real questions involved in the matter. May be, if the total amount of cheques exceeded the alleged amount of loan, a slender doubt might have arisen, but, in the present matter, the total amount of 7 cheques is lesser than the amount of loan. Significantly, the specific amount of loan (to the tune of Rs. 22,50,000/-) was distinctly stated by the accused-appellant in the aforesaid acknowledgment dated 21.03.2017. 20. On perusing the order of the Trial Court, it is noticed that the Trial Court proceeded to pass the order of acquittal on the mere ground of 'creation of doubt'. We are of the considered view that the Trial Court appears to have proceeded on a misplaced assumption that by mere denial or mere creation of doubt, the appellant had successfully rebutted the presumption as envisaged by Section 139 of the NI Act. In the scheme of the NI Act, mere creation of doubt is not sufficient. 21. The result of discussion in the foregoing paragraphs is that the major considerations on which the Trial Court chose to proceed clearly show its fundamental error of approach where, even after drawing the presumption, it had proceeded as if the complainant was to prove his case beyond reasonable doubt. Such being the fundamental flaw on the part of the TrialCourt, the High Court cannot be said to have acted illegally or having exceeded its jurisdiction in reversing the judgment of acquittal. As noticed hereinabove, in the present matter, the High Court has conscientiously and carefully taken into consideration the views of the Trial Court and after examining the evidence on record as a whole, found that the findings of the Trial Court are vitiated by perversity. Hence, interference by the High Court was inevitable; rather had to be made for just and proper decision of the matter. 24. Therefore, this appeal is partly allowed in the following terms: The common judgment and order dated 08.01.2018 in R/Criminal Appeal No. 1187/2017 connected with R/Criminal Appeal Nos. 1191/2017 to 1196/2017 by the High Court of Gujarat at Ahmedabad is maintained as regards conviction of the accused-appellant for the offence under Section 138 of the Negotiable Instruments Act, 1881 for dishonour of 7 cheques in the sum of Rs. 3 lakhs each, as drawn by him in favour of the complainant-respondent No. 2; however, the sentence is modified in the manner that in each of these 7 cases, the accused-appellant shall pay fine to the extent of double the amount of each cheque (i.e., a sum of Rs. 6 lakhs in each case) within 2 months from today with the stipulation that in case of default in payment of fine, the accused-appellant shall undergo simple imprisonment for a period of one year. On recovery of the amount of fine, the complainant-respondent No. 2 shall be compensated to the tune of Rs. 5.5 lakhs in each case. In the event ofimprisonment for default in payment of fine, the sentences in all the 7 cases shall run concurrently. 25. The Trial Court shall take steps for enforcement of this judgment forthwith.